Redwoods Dowling Kerr are delighted to announce the sale of Gingerbread House Day Nursery in Croydon to corporate buyers, All About Children. All About Children are the 12th largest nursery group in the UK, according to Nursery World, and the sale of Gingerbread House Day Nursery marks their latest acquisition through leading childcare broker Redwoods Dowling Kerr. 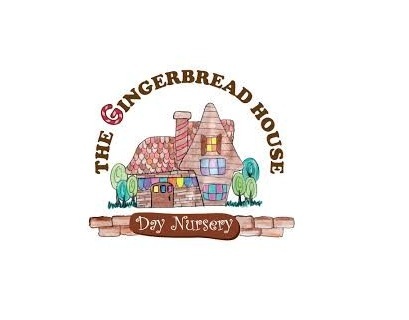 Gingerbread House Day Nursery is a stunning children’s day nursery situated in a sought-after and popular area of Greater London on the Surrey borders. Established by our clients in 2014, the nursery operates from a beautiful detached corner plot property and has a capacity for 56 children aged 3 months to 5-years-old. “I would like to thank Karrina Lee who dealt with the sale of my nursery, the service she provided was excellent from start to finish. “We achieved 5 offers, 3 of which were above asking price. Once we had accepted the offer, Karrina Lee was on hand to deal with all aspects of the sale. “Gingerbread House Day Nursery was a great opportunity which generated a huge amount of interest from all backgrounds including first time buyers, small groups and large operators a like. “Mr Shandakumar Arjuna owns the freehold property in which the nursery trades and accepted the offer from All About Children on a leasehold basis. All About Children stood out to Mr Shandakumar Arjuna due to their excellent reputation and presence in the childcare sector and felt that as buyers they were the best fitting for their ongoing relationship. “2018 has been a huge year of progress for All About Children, a year in which we have transformed our business. Although we have perhaps ‘flown under the radar’, in the 16 months between August 2017 and November 2018, we have acquired 13 new nurseries – taking our Group from 17 to 30 settings. “The most challenging part of that has been to find flagship nurseries operating in the premium sector, or nurseries with the potential to be, and we couldn’t have done that without the support of brokers such as Redwoods Dowling Kerr.